AF-S NIKKOR 85mm f/1.4G & other new Nikkor lenses announced! 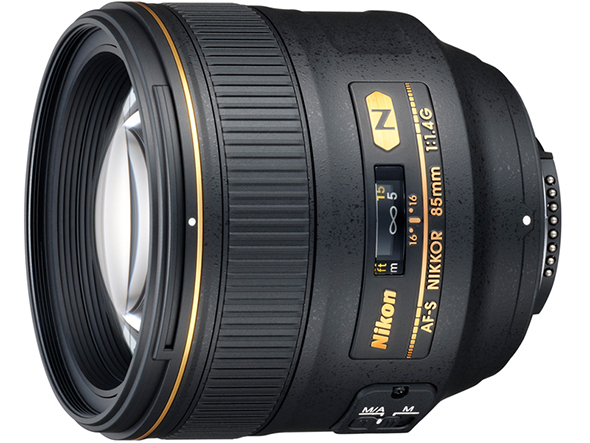 Nikon has just released a fast aperture medium telephoto lens in the shape of the AF-S Nikkor 85mm f/1.4G. 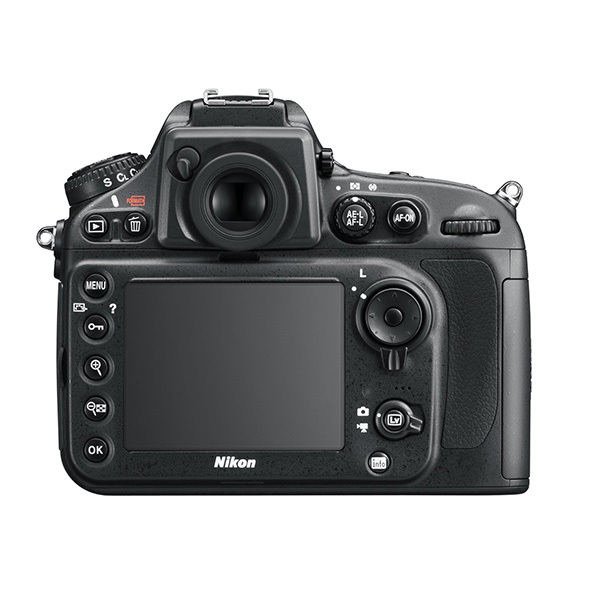 Featuring a completely new optical design and a built-in Silent Wave focus motor, it also includes Nikon’s top-end goodies including a 9-bladed diaphragm, Nano Crystal coating for the reduction of flare, a magnesium alloy body shell and weathersealing. You can Pre-Order on Amazon right now! TOKYO – Nikon Corporation is pleased to announce the release of three new lenses compatible with Nikon FX-format digital-SLR cameras. The AF-S NIKKOR 85mm f/1.4G is a fast, mid-telephoto prime (fixed focal length) lens that combines a large maximum aperture of f/1.4 with beautiful blur characteristics and superior rendering. The AF-S NIKKOR 24-120mm f/4G ED VR is a 5X standard zoom lens with a fixed maximum aperture of f/4 throughout its entire zoom range. Nano Crystal Coat has been deposited on some lens elements for fine, clear images, and the lens is equipped with Nikon’s latest vibration reduction mechanism, VR II. The NIKKOR 28-300mm f/3.5-5.6G ED VR is a 10.7X super-telephoto lens that covers a broad range of focal lengths from the wide-angle 28mm to telephoto 300mm. This lens is also equipped with the VR II vibration reduction mechanism. Nikon has long had the support of professional and advanced amateur photographers for its consistent development of innovative products that respond to the demands of users and are equipped with the optical technologies Nikon has spent years cultivating as a manufacturer of optical devices. Nikon will continue to offer exceptional products, including FX-format compatible lenses that strengthen and enrich the NIKKOR lens lineup with superior functions and performance that satisfy the needs of professional and advanced amateur photographers. 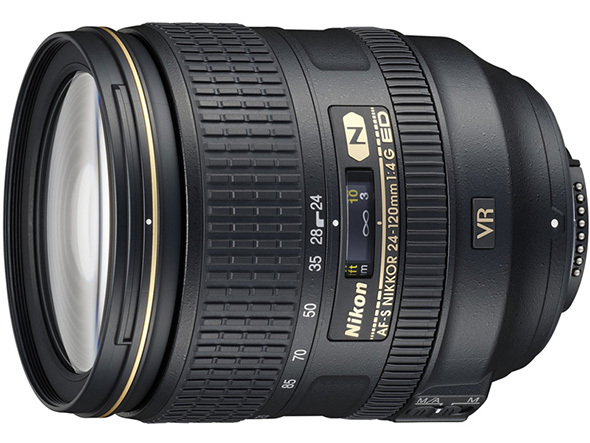 AF-S NIKKOR 24-120mm f/4G ED VR Pre-Order on Amazon right now! A 5X standard zoom lens that offers superior function and performance. This zoom lens has a high reproduction ratio that is both practical and functional for professional and advanced amateur photographers. It consistently demonstrates excellent rendering performance. Equipped with two VR modes, Normal and Active, the vibration reduction function responds to a variety of shooting scenes. 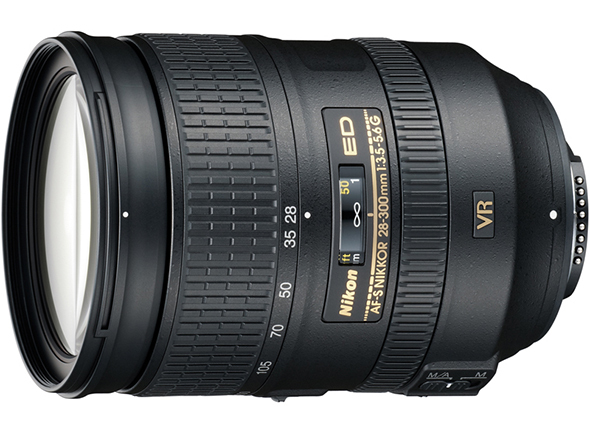 AF-S NIKKOR 28-300mm f/3.5-5.6G ED VR Pre-Order on Amazon right now! This single 10.7X lens covers a broad range of angles of view, making it extremely practical for shooting at a variety of focal lengths, from wide-angle landscape shots to telephoto shooting. AVAILABILITY UPDATE! 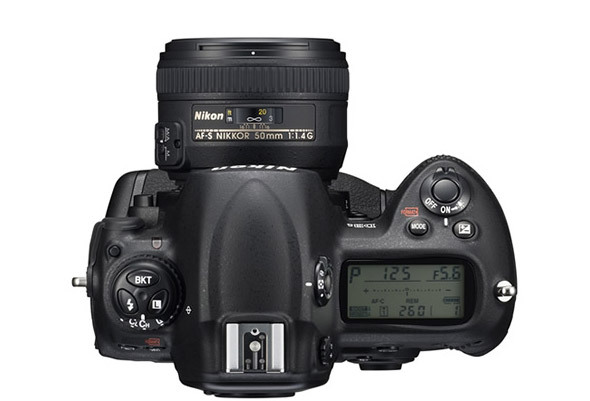 (November 27, 2009) Amazon have the Nikon D3S in stock and is shipping! Standing on the shoulders of the world-renowned D3, the Nikon D3S takes the potential of Nikon’s proprietary FX format to incredible new levels designed to meet or exceed a professional’s high standards. The D3S delivers ISO 200 to ISO 12800 as standard, with the excellent noise control and wide dynamic range that the D3 is famous for. This provides photographers of any discipline with additional latitude to achieve quality images in most lighting situations. When needed, ISO sensitivity can be expanded from Lo 1 (ISO 100 equivalent) up to Hi 3 (ISO 102400 equivalent), making a significant difference in extremely low-lit shooting scenarios and other situations where faster shutter speeds or more depth of field is required. 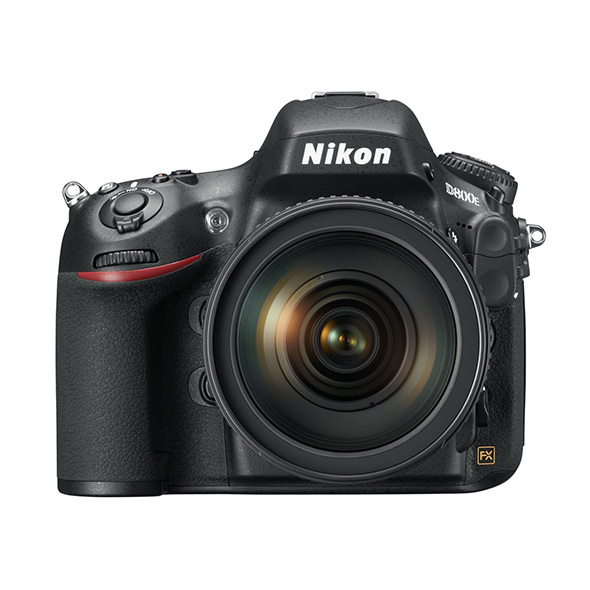 In a first for an FX-format flagship, the Nikon D3S incorporates the HD-quality D-Movie function, letting users take full advantage of the wide dynamic range and high ISO performance, including the breakthrough High-Sensitivity Movie mode. The D3S’s D-Movie also offers compatibility with an external stereo recording microphone, as well as convenient in-camera editing functions such as the ability to select the starting or ending points in order to trim D-Movie footage, as well as the option to save selected movie frames as JPEGs. The Nikon D3S shoots approximately 9-frames-per-second high-speed continuous shooting in FX format and 11 fps in DX format, with a buffer twice the size of the D3’s. These features, along with a 0.04-second* shutter release time lag and improved AF accuracy work seamlessly for lightning-fast responses. Various improvements in ergonomics, operation, and reliability, such as image sensor cleaning, will help photographers focus on shooting under any conditions. When combined with state-of-the-art NIKKOR lenses and the Nikon Total Imaging System, which includes Nikon Speedlights, wireless transmitters and various software, the D3S delivers exceptional quality and versatility for an unprecedented variety of professional and personal assignments. * Based on CIPA Guidelines. Professional photographers can now rely on ISO 200 to ISO 12800 as the professional standard of image quality for their assignments — an incredible advantage when shooting indoor sports, stadium events at night, dimly lit spot news or any other shooting situation where light is limited and Speedlights are not applicable. Shooting at ISOs as high as 12800, the Nikon D3S can take commercial-quality, tack-sharp images in low light at action-freezing shutter speeds — a capability that will open a new world of photographic opportunities. When needed, the D3S expands to the amazing ISO equivalent of 102400, still revealing colors and details even in extremely low-lit places where human eyes may find it difficult to discern objects. This exceptional low-noise performance also applies to D-Movie capture, which creates new potential for multimedia projects and assignments. 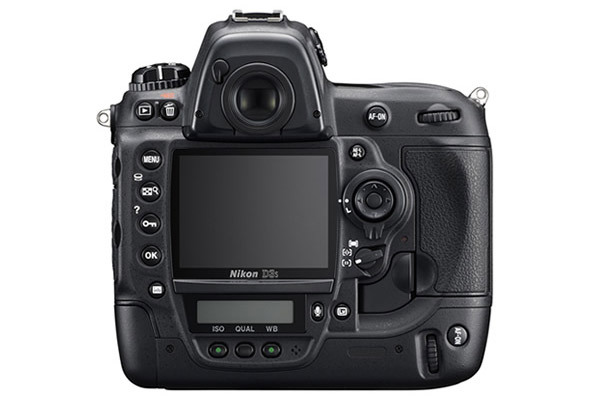 The Nikon D3S‘s image sensor has been completely redesigned from the one utilized in the D3. This new sensor’s inner structure has been further optimized, with the pixel count and large pixel pitch maintained for even greater latitude in high ISO performance. As a result, the D3S captures and renders light in ways that no other ordinary digital SLR cameras have yet achieved, with a significantly higher signal-to-noise ratio and a wide dynamic range for unmatched image quality for both still images and movies throughout the broadened ISO sensitivity capabilities. From well-lit scenes to extremely low-lit situations, the Nikon D3S‘s D-Movie mode delivers unique versatility. The newly refined D-Movie offers HD quality (1,280 x 720 pixels) Motion-JPEG movies at 24 fps. By controlling the aperture from the widest f-stop to the smallest, the large FX-format sensor renders low-noise images with beautiful bokeh effects from a large selection of NIKKOR lenses. High-Sensitivity Movie mode allows users to shoot at up to ISO equivalent of 102400 in places too dark to see clearly with their own eyes. D-Movie footage is easy to trim in-camera by simply selecting the starting or ending point. An extra bonus for sports and spot news photographers is the ability to save selected movie frames as JPEGs for immediate print and web publishing needs. The Nikon D3S has both an internal monaural microphone and an external stereo microphone input, enabling higher fidelity audio recording. Nikon’s fast, comprehensive, and energy-efficient approach to in-camera image processing maintains the rich initial data’s integrity through 14-bit A/D conversion and a 16-bit image-processing pipeline, which shows the enormous creative potential inherent in the NEF (Nikon Electronic Image Format). 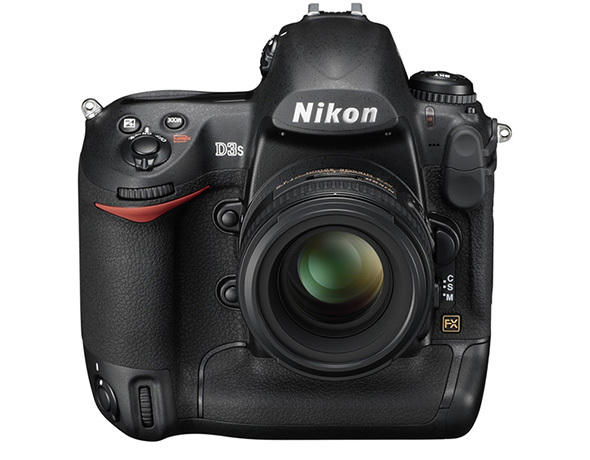 Combined with Nikon’s FX-format sensor, the Nikon D3S produces an exceptional tonal range and minimized tone jumps. Users can expect more accuracy with difficult color combinations such as skin tones and strong reds in the same frame without over-saturation, plus finer tonal gradation in highlights, even with extremely bright subject matter. The D3S corrects color fringes caused by chromatic aberrations that, in some instances, can appear at the edges between differing subject elements. Because lateral chromatic aberrations are corrected regardless of lens type — whether telephoto, wide-angle, non-CPU and other types of NIKKOR lenses — this important aspect of the Nikon D3S contributes substantially to the highly refined, edge-to-edge image integrity that professionals demand. Nikon’s Active D-Lighting automatically regulates the dynamic range of high-contrast scenes, pulling out shadow details and preserving highlights while maintaining proper contrast. The Nikon D3S allows photographers to choose from six Active D-Lighting settings, including the newly added Auto and Extra high, as well as High, Normal, Low and Off. You can also bracket Active D-Lighting strength levels up to five frames and select the best rendition afterwards. The Nikon D3S optimizes workflow speed and fluidity throughout the entire shooting process. Start-up time is approx. 0.12 seconds* and release time lag is minimized to approx. 0.04 seconds*, exactly as fast as the D3, but the D3S’s increased buffer memory is twice as large as that of the D3’s. In addition, the D3S’s autofocusing, image processing, memory card access and recording, USB interface and optional wireless transmitter all work together to keep professional photographers focused and moving forward. And for sport and spot news photographers, many of the D3S’s JPEG files are print-ready with little or no post-production: an extra edge when time is short. * Based on CIPA Guidelines. The D3S’s continuous shooting rates are impressive, but what makes them truly unique is that the Nikon D3S‘s powerful stepping motor allows for a steadier delivery of fast continuous shooting speeds at a wider range of aperture settings than lesser cameras can achieve. Professionals will now have greater control and fewer limitations when creating the images they desire. With the DX crop, photographers can also add a 1.5x picture angle and a faster frame rate to their arsenal. Furthermore, the factory-installed buffer memory is twice the capacity of the D3, dramatically increasing the power of continuous shooting. * Based on CIPA Guidelines. Nikon’s exclusive 1,005-pixel RGB sensor precisely reads brightness and color information to raise the overall accuracy of AF, AE, i-TTL flash control and auto white balance to new heights, thanks to the Scene Recognition System. 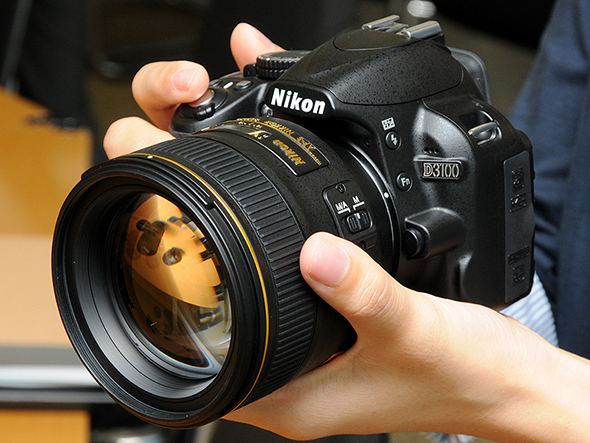 The NikonD3S‘s AF delivers superb subject tracking and subject identification performance. Highlight analysis used for AE reproduces brightness faithful to what your eyes see, and light source identification makes auto white balance uniquely precise and reliable. 51-point AF: fast and accurate subject acquisition The D3S‘s strategically positioned 51 AF points deliver faster focus, even with quick and/or erratic subject movement. The 15 cross-type sensors in the center of the frame maintain the same outstanding performance with any AF NIKKOR lens f/5.6 or faster. There are four Dynamic-area AF options, including 51 points (3D-tracking), which accurately follows your subject by shifting focus points using color and brightness information from the Scene Recognition System. This gives users an extra advantage when composition is important but your subject’s movement is extremely erratic. Single-point and Auto-area AF modes are also available. Superior durability For the reliability professionals demand, the shutter of the D3S has been tested for up to 300,000 cycles in fully assembled cameras under rigorous conditions. The ruggedly constructed D3S employs a strong yet lightweight magnesium alloy for its body, exterior cover, chassis and mirror box. Furthermore, a comprehensive series of O-rings and other specialized seals, combined with additional Nikon engineering, protect the D3S against invasive moisture, dust and even electromagnetic interference. The Nikon D3S‘s large, high-resolution LCD monitor delivers bright, crisp image playback with up to 27x enlargement for immediate and precise image confirmation. Each LCD is covered with scratch-resistant tempered glass and individually calibrated and fine-tuned at the factory to ensure consistent performance. Newly added image area of 1.2x crop (30 x 20) format with approx. 8.4 megapixels Multiple exposure operation that can be repeated by designating the function to the bracketing button Electronic virtual horizon that is available in Live View shooting Extended menu banks that store up to four combinations of exposure mode, shutter speed and aperture value Versatile in-camera Retouch Menus, including RAW processing to enhance your images without using a computer Compatible with HDMI (High-Definition Multimedia Interface) output. Type C connector (mini size) is employed. With the optional GPS Unit GP-1, location information such as latitude, longitude, altitude and time are automatically recorded to each image’s EXIF data. The Time Adjustment feature, which adjusts your camera’s time zone, is also available using the GP-1. Especially useful for group assignments that require several D3S cameras to be synchronized. Exclusive Nikon Software — Nikon Transfer and ViewNX software packages (supplied) for a range of basic photo browsing and editing operations; Capture NX 2, Camera Control Pro 2, and Image Authentication Software (all optional) enable more advanced operation and image editing.